Wikipedia doesn’t like self-promoters and goes to great lengths to discourage contributors from posting autobiographical or self-interested entries. “If your life and achievements are verifiable and genuinely notable, someone else will probably create an article about you sooner or later,” Wikipedia writes in its voluminous “dos and don’ts” set of instructions. I added the italics above – probably – because Wikipedia’s rules beg the question, what do you do if you or your company do merit an article on Wikipedia and no one has gotten around to writing one? That is what I’ll discuss in this column, the third in PanPrestige’s Wikipedia series. Wikipedia is so intent on preventing people from “gaming” the system that it throws up all sorts of obstacles and warnings. These speed bumps can prevent legitimate articles from ever seeing the light of day on the site. I know from firsthand experience. Facing an ever-expanding Wikipedia rulebook and thousands of random volunteer Wikipedia editors – each of whom makes judgment calls that at times can seem illogical – even veteran journalists such as me find posting to Wikipedia a hit-and-miss adventure. When you’re justified, and Wikipedia is just slow to acknowledge it, persistence pays. Because Wikipedia values the “consensus of the community through discussion,” it helps to know and network with other contributors to Wikipedia who can offer you valuable feedback – and when necessary, act directly on your behalf. Several years ago, in teaching a class on how to use Wikipedia both properly and effectively, I created a sub-community within the broader Wikipedia universe that I call “Criss-Cross Communicators” or CCC for short. 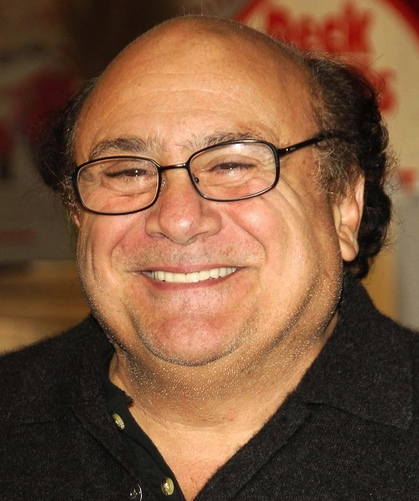 The CCC concept was inspired by the 1987 comedy, Throw Momma from the Train, starring Danny DeVito and Billy Crystal. That film, likewise, drew inspiration from Alfred Hitchcock’s 1951 thriller, Strangers on a Train. The plot of both films is simple. Two men, virtually complete strangers, each want to kill someone. To avoid detection, they agree to “swap” murders. 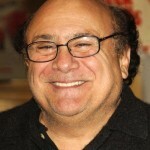 DeVito has no motive to murder Crystal’s ex-wife, and Crystal has no reason to do away with DeVito’s mother. Criss-Cross. Recognizing Wikipedia’s aversion to self-promotion, my loosely organized CCC group also set as its mission to bring together strangers to help one another and avoid suspicion. Only crime is not our motive. Addressing Wikipedia’s “probably… sooner or later” reasoning for why individuals should not promote themselves, is our intent. When “later” is much, much, much later – meaning you’ve waited patiently and nothing about you has surfaced on Wikipedia – CCC provides a system whereby members can make the case to fellow strangers that they merit a biographical Wikipedia article (or an entry about a business, product, or service that they have created). With the pre-condition that every CCC “stranger” must objectively qualify for a Wikipedia posting, our private group makes it possible for an entrepreneur in Waukesha, WI, to write a biographical profile of a prominent liability attorney in Augusta, ME, who contributes a post about an inventor in San Luis Obispo, CA, who generates an accurate article about the original Waukesha entrepreneur. Criss-Cross. CCC is very much a microcosm of the giant, global Wikipedia ecosystem. Only we are a tiny alliance of like-minded men and women who don’t want to leave it to pure chance that our achievements will someday draw the attention of qualified Wikipedians. Wikipedia warns – and it bears repeating – that those seeking to have their biographies appear on the global community encyclopedia should be mindful of what they desire. Every biographical profile on Wikipedia is subject to edits by anyone and everyone. That means friend and foe alike. It can take an extraordinarily long time for Wikipedia to detect and delete content added maliciously by other site users, known in Wikipedia parlance as “vandalism”. Moreover, if your critics chose to post negative – but accurate – information about you, those details may stick with your profile for the remainder of your life, and even beyond. All the risks and hurdles aside, to my way of thinking, Wikipedia is the 21st century equivalent of Marquis Who’s Who, the noted American reference biographer that has been the definitive arbiter of global leaders and achievers since 1899. If you are an individual of influence whose lifetime of accomplishment belongs in the public record for posterity, you owe it to yourself and to the general public to ensure that you receive your earned recognition on Wikipedia. That is simply not a distinction that you should trust to serendipity. Want To Join Our Criss-Cross Communicators Group? Already have a biography on Wikipedia or be eligible for one based on Wikipedia’s published criteria for Biographies of living persons. Agree to respect the privacy of other members of CCC. Provide us your actual name, affiliation, title, email, and phone number. CCC is comprised solely of volunteer members. There is no fee to join our group. To apply for membership or to contact us with questions and suggestions, visit: https://groups.google.com/forum/#!forum/buzz-snatchers. 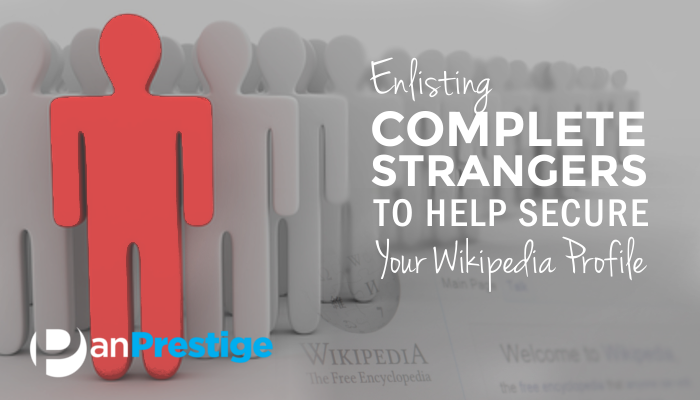 If you would like a strong Wikipedia presence to strengthen your personal or business brand, I encourage you to contact Pan Prestige to discover how we can make getting your own Wikipedia listings and citations pain-free. If you already have one or more Wikipedia pages, contact us for a free evaluation of how effectively you’re harnessing the titanic power of the service. Hello! It's nice to meet you! We will analyze your situation closely and send you a free tailor made plan to do it yourself. No Credit Card Required, No obligation, No charge. Try us! We promise to never sell your information to anyone. Want to look awesome online? © 2019| Pan Prestige. All Rights Reserved.